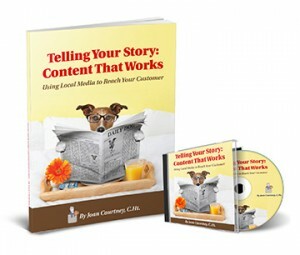 Telling Your Story: Content That Works :: Unstuck Living Pro! Thought about writing to improve your brand? Terrified of the blank page and stuck in the process? Then this book is for you. It gives you a wellspring of ideas and boilerplates that you can adapt to your own needs to hone in on your target market. This system is an easy way to present information, persuasion, and problem solving solutions to your audience. You can truly tell your story to establish yourself as the expert and attract more clients. Want New Ways to Get Your Story Out There? Be the Go-To Person for Potential Clients! Thought about writing to improve your brand? Want to write but don’t know what to write about? Terrified of the blank page and stuck in the process? Then, this book is for you. 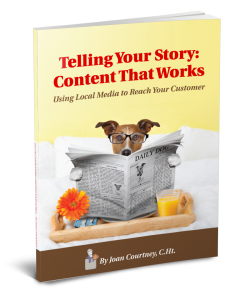 Telling Your Story: Content That Works gives you a wellspring of ideas and boilerplates that you can adapt to your own needs to hone in on your target market. With these starters, you can quickly and easily write your own copy. Your target market will become familiar with you and what you have to offer. In short, you will become the expert. Are You “Should”ing All Over Yourself? Guilt Hanging Heavy on Your Mind? Fireman? Chatty Cathy? Laid Back Dude? Are You Going Nowhere but Making Great Time? 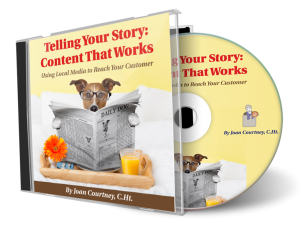 Telling Your Story: Content That Works will help you overcome the fear of writing and putting a “pen to paper.” This system is an easy way to present information, persuasion, and problem solving solutions to your audience. You can truly tell your story to establish yourself as the expert and attract more clients. everyone else and why your offerings are important to your clients. You capture their attention and separate yourself from the “great grey herd.” . . .